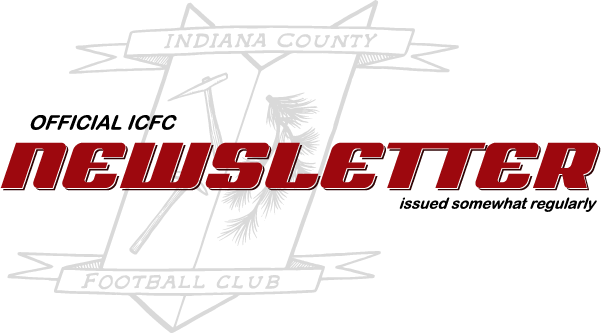 Welcome to the February 2019 edition to the ICFC Newsletter, in which we look forward to some spring offerings and also track some of the happenings in the final leg of the futsal season. In this issue: McNaughton Brothers, Inc., Thom Shively, Terry Monteleone, Picasso Lures, Winter Futsal playoff update, David McKelvy scored goals, Jeff Kelly & The Graveyard Shift, Adult 7v7 league draft day, Winter Futsal championship day & party, Monthly ICFC Board conference call, and Monday is Women's Pick-up day. 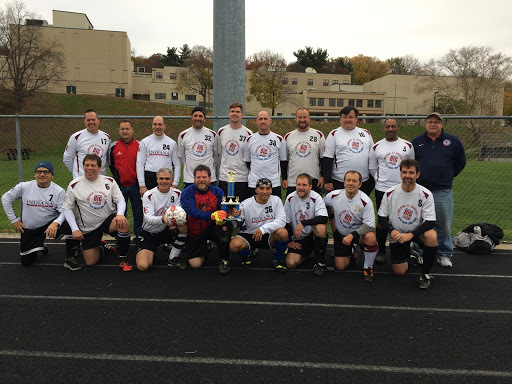 Sponsor of the Month: McNaughton Brothers, Inc. When presented with our sponsorship options, Luke and Thom very graciously said “How about we do this, instead…” and pledged a 5-year, $1,000-per-year commitment. They’ll be featured on kits in all three of our current leagues over that time. 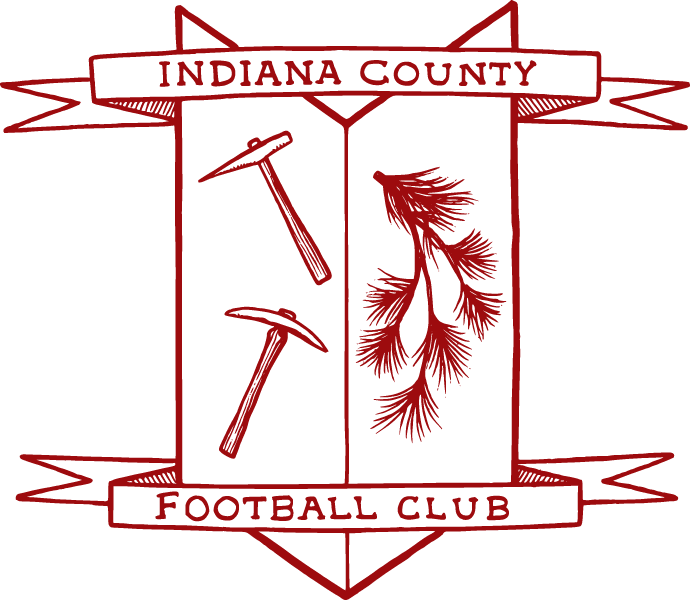 ICFC is beyond grateful for this pledge -- thank a Shively when you see them! 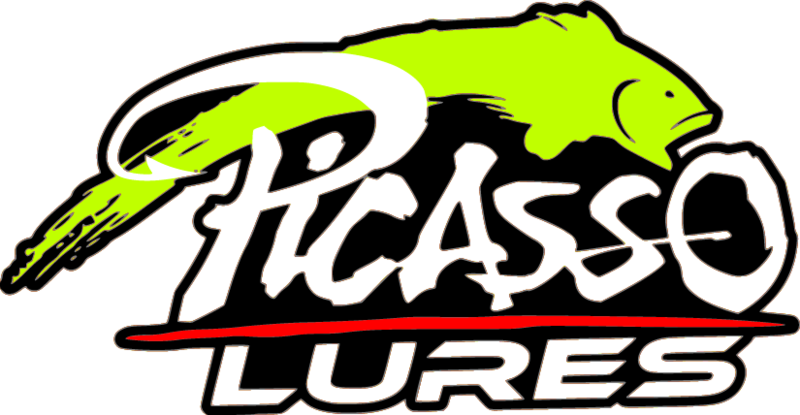 Picasso Lures, which manufactures high-end tackle for anyone looking to catch more bass, but especially tournament-level fishers. (Club note: Picasso is sponsoring a 4v4 team this summer!) Picasso’s lures are sold all over the US and internationally, mostly to retail stores. Customers can purchase lures online at Picassolures.com. Terry and his wife Heidi, who is an endodontist, have three children and live in Indiana. Terry also loves downhill skiing and tournament bass fishing. Congratulations to Sporting McKelvy, who won their first ever Winter Futsal Community Shield. This trophy is awarded to the squad finishing atop the table after the full round-robin regular season. Impressively, Sporting McKelvy took all 27 of the available 27 points in the campaign. Teams will now compete for two separate cups: the Premier Cup, a tournament of the top 6 teams in the table, and the Community Cup, a tournament of the bottom 4 squads. In announcing the 2018 awards given at the annual holiday party, we neglected to include the winner of the Golden Boot Award, given to the club member deemed most likely to score a goal when the ball touches his/her foot. Congratulations to David McKelvy, the winner of the 2018 Golden Boot. The third show of the 2018-19 Concert Series features the music of Massachusetts-based group Jeff Kelly & The Graveyard Shift. 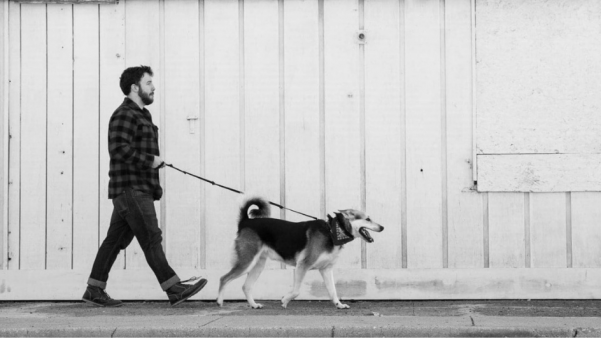 Kelly sings of the human experience with a sense of vulnerability and grit that is both familiar and authentic. Honesty and attention to detail are at the root of each song, and the emotion and experience are not lost on the listener. Tickets are $10.00 online in advance or $12.00 at the door. Please consider attending this event. The ICFC Concert Series may be the best-kept secret in Indiana County. Our adult (21 and over), co-ed 7v7 league is in its second year in 2019 and targets committed players who are looking for formal, structured, recreational soccer without the intensity and travel of other regional adult leagues. All matches are played Sunday evenings at the fields behind White Township’s S&T Bank Arena. There will be 4-6 teams, depending on registration numbers, with each team playing at least 12 matches split between spring and fall sessions in a round-robin format. Any severe weather postponements will be made up in the fall. Everything you need to know is here on the website. The Futsal League Final is scheduled for Sunday, March 31st and will feature the final two squads remaining in the Premier League Cup. We invite all club members and their families to join for the final ceremony, where we will present trophies to the Community Cup winners as well as the Community Shield winners prior to kickoff. The ceremony will include lineup announcements, halftime activities, and a post-game pizza party. Please join us in creating a fun soccer atmosphere for this year's final match. First Monday of every month, 9:00 pm. Conference call format. Members are invited to dial in, listen, and contribute. For call-in credentials, email us at [email protected]. Every MONDAY, 8-9 pm. Sessions include skills and drills led by experienced coaches, followed by gameplay. No previous experience necessary. $10.00/player per session. Email us at [email protected] to get on the mailing list for updates.